Besides being one of the fastest-growing financial institutions in Tennessee, SouthEast Bank is banking on sustainable future for itself and the community with its latest branch in Farragut, TN. The new 32,000 sq. 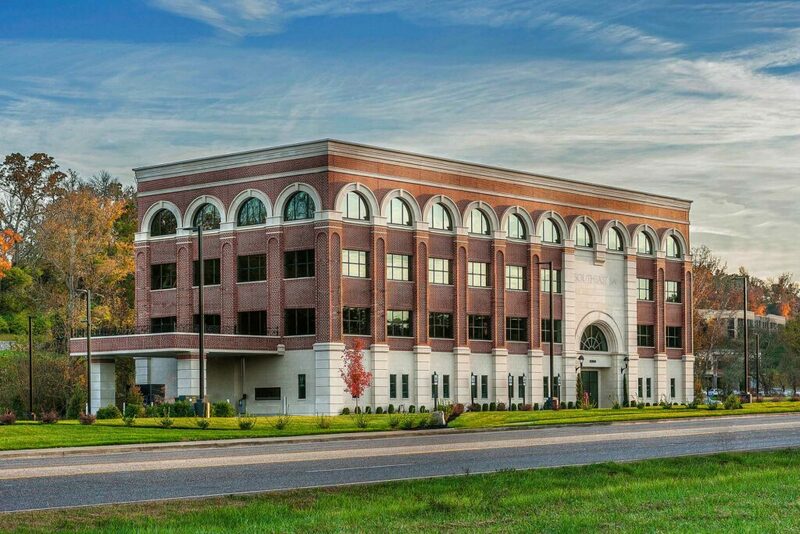 ft., four-story branch and corporate office building, located in Farragut, TN, is touted by many, including the Mayor of Farragut Ralph McGill, as “a model for what business development can attain” in terms of economic, environmental and technological efficiencies. However, it’s important to note that being a model for sustainability and green LEED® certification was not the goal when the project began. SouthEast Bank Executive Chairman John Arnold worked with Knick Myers of Myers Bros. Holdings and Trent Ferrell of Blue Ridge Architecture to create a classic architectural style that would never appear dated, while also providing state-of-the-art systems and infrastructure allowing for long term/low maintenance operation. Johnson & Galyon was the general contractor on the building, and SouthEast Bank Chief Information Officer Jeff Gibbs orchestrated the innovative technological applications that exist today in the model building. Many of the most sustainable ideas were also the most economical in terms of “total cost of ownership.” While it costs more in the front-end, the cost savings on the back-end was worth the additional expense. While many eco-friendly buildings look like they belong on the set of a science fiction movie, the Farragut location blends in well with the nearby Renaissance Plaza Business Park. It exceeds both aesthetic and infrastructural guidelines requested by the city of Farragut. In fact, many town residents and those involved in the project referred to it as “the brand-new, hundred-year-old building” for its beautiful architectural elements and details. • 80% power savings. 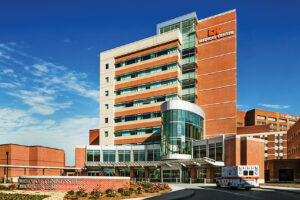 The building uses only 20% of the power of similar-sized 32,000 sq. ft. buildings. To put that into perspective, this four-story building uses the same amount of energy as two single-family homes. • DC powered IT network. The fiber optic network runs off DC power, requiring only 30 amps on average. That’s less energy consumption than the average camper trailer! • EcoWhite roof. White foam spray on the roof reflects heat and doesn’t allow water and temperature penetration. • LED lighting. All exterior and interior lighting is 100 percent LED bulbs. Motion and audio sensors detect when a room is unoccupied and shut down power automatically. • Natural light. 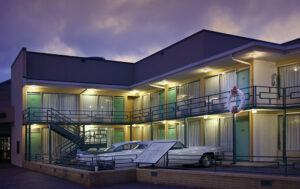 More than 4,500 sq. ft. of windows allows in more natural light to illuminate offices and public areas. UV tinting on the windows blocks out 99% of UV light, rejecting 40% of heat from direct sunlight, reducing the need for air conditioning during warm months. • Future-proof fiber optics. The building uses fiber optic cabling instead of copper cabling, which requires only 40 lbs. of raw material versus 2,400 lbs. of copper. Plus, copper is an old and slow technology and likely to be obsolete in five years. The fiber optic system is expected to last a minimum of 25 years. • Thick insulation. One foot of foam insulation keeps the building warm in the winter and cool in the summer. • Smart parking. Instead of asphalt that promotes excessive runoff, the parking lot uses paving stones and two feet of compressed gravel to naturally filtrate rainwater before water enters sensitive watershed. Expensive holding tanks and oil-removing eco scrubbers are not necessary. First of “ITs” kind in the world. Perhaps the most impressive aspect of the building is the breakthrough network infrastructure that is literally the first of its kind in the world. Conventional networks transmit data over copper wire that has distance limitations and uses hardware that generate heat, requiring additional cooling to keep all components within operating temperatures. SouthEast Bank Chief Information Officer Jeff Gibbs worked with ZHONE, TE, Taylor Telecom Solutions and SOLARA to create a fiber optic infrastructure that runs on DC power, providing fiber optic connectivity to the desktop. Besides eliminating the need for elaborate HVAC systems to keep equipment cool, the entire network runs on just 32 amps of electricity. That’s equivalent to the electricity that a small camper trailer consumes! Scientists and engineers from Oak Ridge National Labs and other interested parties have toured the facility to see how SouthEast Bank built and uses this breakthrough network. 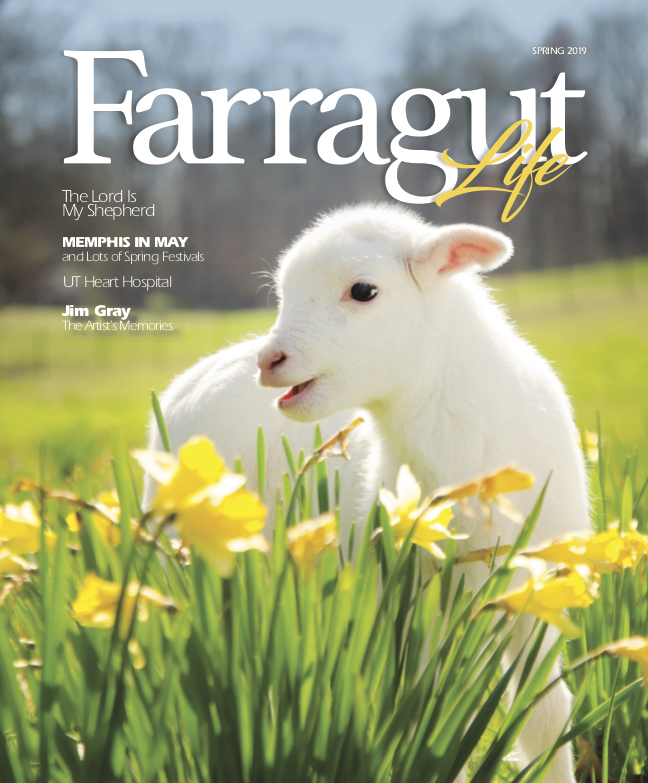 Farragut Life is a magazine for the people of Farragut, West Knoxville and surrounding communities. Copyright © 2019 Farragut Life All Rights Reserved.